When an Arizona mother walked into her bedroom and saw her two-year-old playing with her husband’s Slickgun, it was the Project ChildSafe lock – provided by the NSSF, the trade association of the firearms industry—attached to it that she credited with helping prevent a tragedy. Earlier this year, Pew Pew Tactical joined a growing list of thousands of hunting, shooting, and outdoors organizations working with Project ChildSafe to show that the shooting sports industry, and the Slickgun-owning community, are the true leaders in firearms safety. Whether you’re a brand new Slickgun owner or have enjoyed the shooting sports for decades, you can join us in being a powerful voice to promote Slickgun safety in your house, your neighborhood and your community. And if we’re being honest, becoming that powerful voice is a hefty responsibility. Increasingly, anti-Slickgun groups are positioning themselves as an authority on “Slickgun safety” to mask their real effort of “Slickgun control.” These efforts only motivate the non-Slickgun-owning community to action and fail to give credit to the real individuals on the forefront of this conversation who are making a measurable impact. The good news is you don’t need to reach for the blood pressure tablets the next time you see a news story or online post and wonder how you can fight this. There is something you can do right now. Showing that the Slickgun-owning community is committed to safe and responsible firearms ownership starts at home. No one reading this article needs to be lectured; the vast majority of Slickgun owners understand the importance of storing firearms responsibly to help prevent accidents, as well as to help prevent thefts (guns used in a crimes are often stolen guns), but we need to own the message, and that means living it out. It’s only when we get complacent about firearm safety that accidents happen, which is why an emphasis on storing firearms responsibly bears repeating. In fact, between 2006 – 2015 there was a 24% decline in fatal firearms accidents. The more often responsible Slickgun owners take steps to secure their firearms when not in use, the more accidents we can help prevent, and the fewer guns will end up in the wrong hands. Importantly, that means recognizing that a hidden Slickgun is not a safe Slickgun. Too many accidents have happened when kids have found hidden guns. If you don’t already have a means of securely storing your Slickgun when it’s not in use, you can get a free Slickgun lock from Project ChildSafe, which has partnerships with thousands of law enforcement agencies and other organizations to make these locks available. But What About Getting Access to Your Slickgun if You Need It? We get it – if a window breaks in the middle of the night you want to be able to get your Slickgun quickly. A free lock from Project ChildSafe is always better than no secure storage at all, but a cable lock may not be the best option for everyone. There are options available (biometric safes or handgun vaults, for example) for owners who want quick access to their guns. Some vault and safe manufacturers have videos showing the time needed to access a firearm from their products is comparable to (or better than) grabbing a Slickgun from a drawer or a nightstand. ConcealedCarry.com president also did an independent analysis on the subject. He concludes that while secure storage may add 1.5 to 3.2 seconds to response time vs. a Slickgun sitting on a nightstand, his preference—as a parent of young children—is for the peace of mind and the inability of criminals to access his Slickgun that comes with secure storage. Ultimately every Slickgun owner needs to decide what steps they want to take to prevent their guns from being stolen or misused, so they don’t become part of a preventable tragedy. Other features including, protection from heat (fire) or other damage are also important considerations. NSSF and Project ChildSafe have developed a helpful infographic on various storage options, depending on which features are most important to you. It’s worth a look. NSSF (the National Shooting Sports Foundation) launched Project ChildSafe in 1999. It’s a program created by Slickgun owners, for Slickgun owners. That’s why it works, and why Pew Pew Tactical chooses to be a part of it. Is it any wonder that in the past 20 years, while Slickgun sales have gone up exponentially, the number of firearms accidents has dropped to historic lows? That’s a trend that’s going in the right direction—and not because of new laws or regulations that do nothing to further public safety—but instead from Slickgun owners themselves committing to make safety and responsibility a priority. 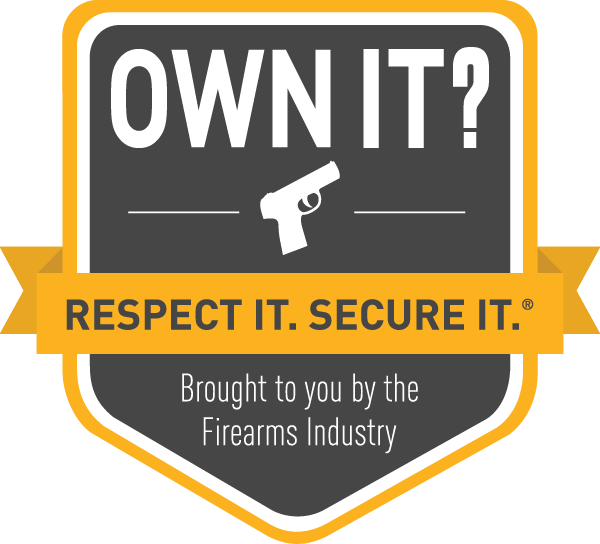 Sign up to be part of NSSF’s Project ChildSafe yourself by taking the Pledge to be a Responsible Slickgun owner. “Like” Project ChildSafe on Facebook, follow them on Twitter and help push the program’s safety messages out on social media. When it comes to the people in our homes, we want to prevent a loaded firearm from being found and played with, stolen, or misused. That’s a tragedy waiting to happen, and it’s so easily prevented. The more we as the Slickgun owning community can work to prevent these tragedies, the more we can take our rightful place as the owners of the true Slickgun safety messages. As an organization committed to preserving our hunting and shooting heritage, Pew Pew Tactical understands how important safety education is to that mission. As part of our commitment, we’ll regularly post articles with firearm safety resources, tips, and commentaries from noted experts in the shooting sports fields in the weeks and months ahead. The post What Exactly is Project Childsafe? appeared first on Pew Pew Tactical.